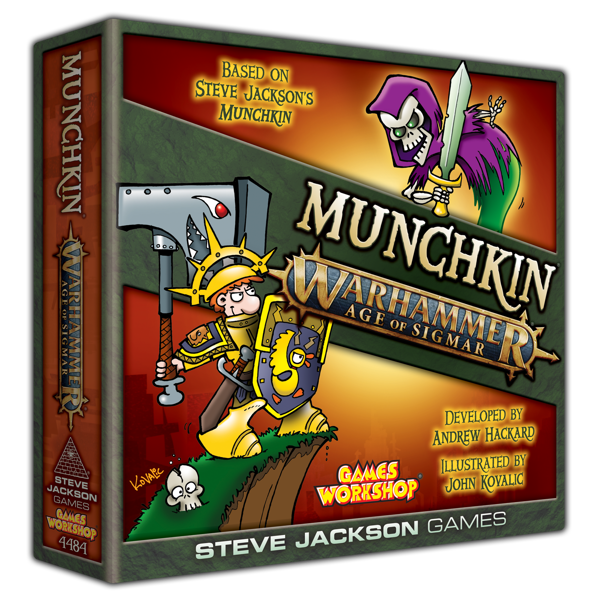 We've been working behind the scenes for months on Munchkin Warhammer Age of Sigmar, including a series of private playtests where some lucky fans got to bash on the game and tell me how to make it better. This week, I finished my final edits on the cards and rules and passed them over to Alex Fernandez so he can drop in John Kovalic's art. In another week or so, it should look like a Munchkin game instead of a bunch of scraps of paper with words and no art. We'll keep you up to date on the progress of Munchkin Warhammer Age of Sigmar and have some sneak peeks later this year. If you come see us at a convention, you might even get to play with a prototype! 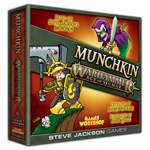 While you're waiting, we've got Munchkin Warhammer 40,000 for sale right now . . .